Deriving its name from the A, B, C, and D avenues in downtown Manhattan, Alphabet City boasts an ethnically diverse population, stylish bars, and trendy restaurants. Alphabet City is a great New York City neighborhood with a little bit of everything for those seeking comfort and a happening nightlife. 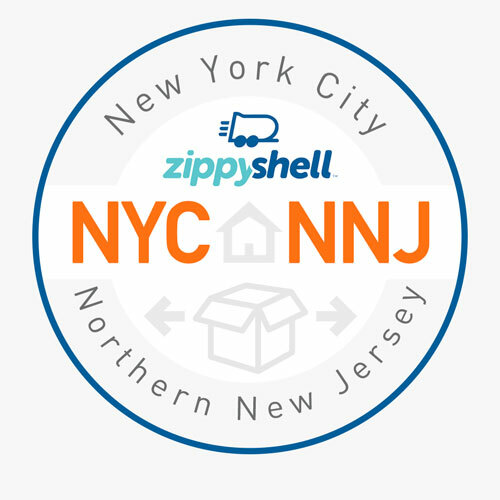 Now, Alphabet City has convenient, affordable mobile self-storage, thanks to Zippy Shell! If you’re looking to move or store anything, Zippy Shell will come to you! We deliver a street legal, Zippy Shell to your door with a mobile storage container inside. You fill it up, tell us when to pick it up, and then we store it in our secure, climate-controlled storage facility. It’s that simple! So if you&apos;re looking for moving and storage in Alphabet City New York give us a call today! Alphabet City is a neighborhood with tons to do, but parking is limited. If you live in or are moving to a building with no garage or driveway, don’t worry because Zippy Shell can help! We are the only moving company in Manhattan with street legal storage containers, so we can park right out front. This gives Zippy Shell a unique advantage and unrivaled convenience. You’ll never have to worry about walking 3 blocks to fill up your storage unit... we’ll deliver a mobile storage container right to your home or business. How easy is that? Flexible Moving and Storage in Alphabet City! Once your belongings are safely loaded into your mobile storage container, our driver will return and bring it to our climate controlled storage facility. You can rest assured that your stuff is being kept clean and safe. Want us to hold onto your stuff for a few months after downsizing? No problem. Need us for just a few days while you wait to move into that new place? We can do that too, and we even do long distance moves! Whenever you need your things, one of our professional drivers will deliver them! At Zippy Shell, we make moving and storage in Alphabet City as convenient as possible, and you’ll never make another trip to a self storage facility again! Alphabet City Now Has Affordable Self-Storage! Compare Zippy Shell to other companies offering storage in Manhattan, and you’ll see why Zippy Shell is the best solution for moving, de-cluttering or downsizing! Contact us today to see what we can do for you! Get a FREE QUOTE now for moving and storage in Alphabet City!